Each of these beautiful clocks has a marble-look plaque mounted onto an oak back. 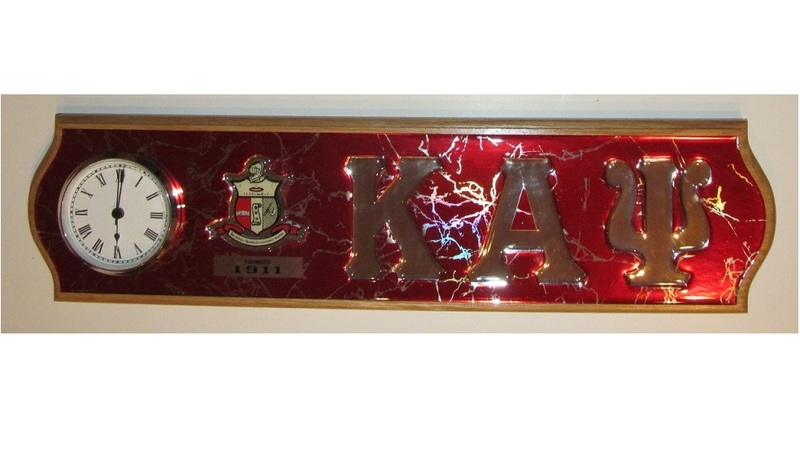 The greek letters and crest are mirrored and are domed to offer some texture to your wall art. These clocks measure about 21.5" wide and 5.5" tall and are ready to hang! Each clock needs a AA battery to operate (not included).